We are the event planners organize events that offer people the opportunity to socialize and have a good time during the event. 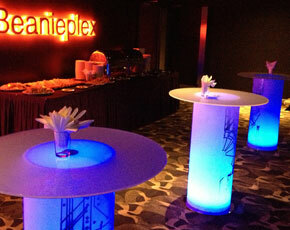 We take time to assess your needs within your budget and resulting in the event envisioned. As a professional event planner we could organize all types of parties or events, or you might choose to specialize in the type of party or event you enjoy most. ARE YOU PLANNING A PARTY OF YOUR OWN? 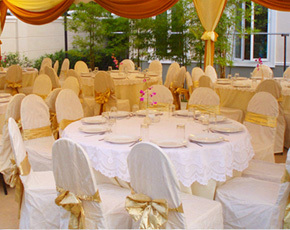 Classic Caterers Sdn Bhd has been in the party/event management industry for over 22 years. From children's birthday parties 30 pax through weddings, to a new property launch event for few thousands pax, either indoor or outdoor event, we will give you expert advice to help you plan a marvelous event. You are in good hands when you let us look after your special day. If your home likes a palace, why should you have to go out to eat an extravagant meal. BRING THE JOY OF DINNING AT THE RESTAURANT TO YOUR OWN HOME NOW! Once you realize our professionalism and quality of Classic Caterers, you will never regret! 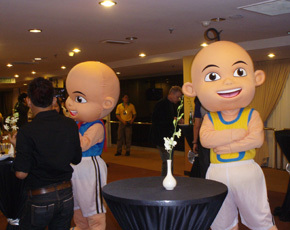 We have catered for various events for many of our valued customers. Call us today and you will be surprised at how glorious the party / event can be. OUR STAFF CAN TAKE CARE OF ALL YOUR EVENT NEEDS.